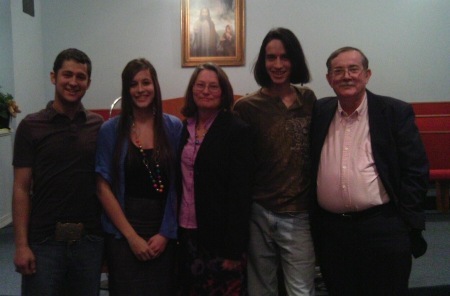 (L-R) Dustin, Kayla, wife Shetha and Stephen, and Philip. It has been our privilege to pastor this church since April 1990. God brought us to this church while it was located on West Highway 76, in the heart of Branson. We are now located on Mt. Branson, at 199 Carter Road. We continue to build upon the foundation that others have laid before us. It is our desire and goal to offer this community a place of worship and teaching of the Word. Through praise, we express our gratitude to our heavenly Father; through song we express our joy. Through prayer, we express our concern and our love for others. Through preaching, we express our willingness to learn and grow in the Word of God as He leads us all. We extend to you a very special invitation to join us in worship at Mt. Branson Church of God. Other offices also filled as needed.